I guess that you have heard of this indo-european group of ancient tribes, which inhabited Southeastern Europe. 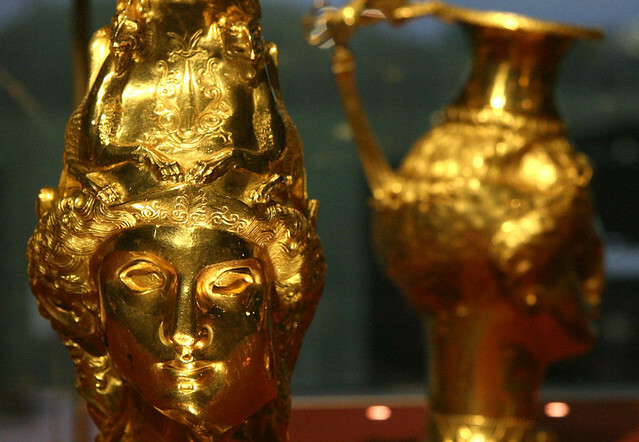 The Thracians developed as an ethnic group around 1000 BC and are a really interesting subject of study. 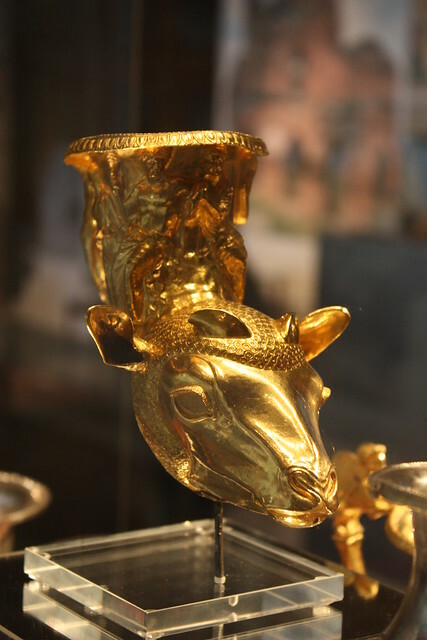 But my main goal here is to present the most important and famous Thracian treasures, so that you know more about them and feast upon their works of artisan craftsmanship. On the picture (thank you wikipedia!) 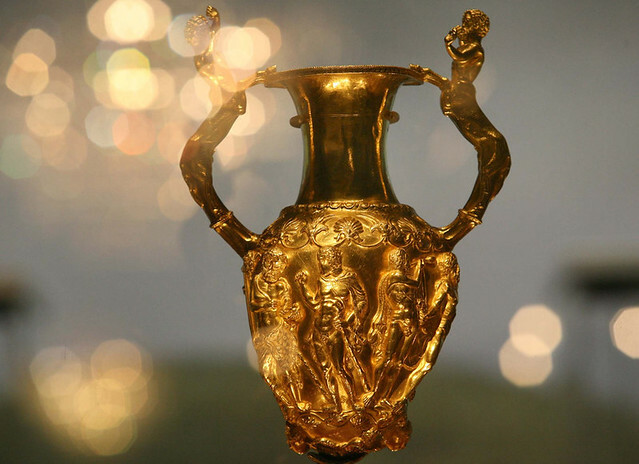 you can see all the 24-karat gold masterpieces from it: a phiale, an amphora and seven rhytons – over 6 kilograms of pure ancient imagination. 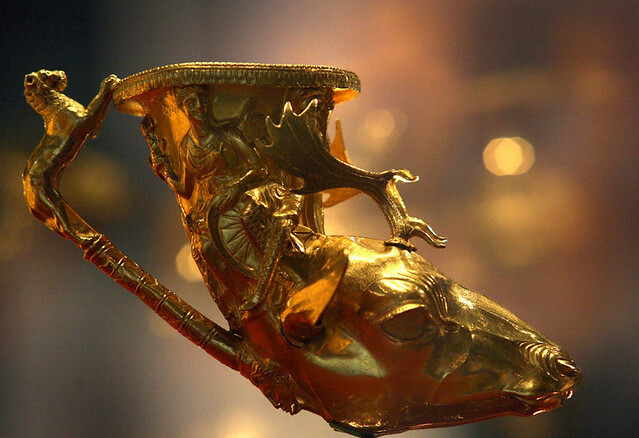 The treasure is dated to IV – III BC, was property of an unknown Thracian king and was used in religious ceremonies. One can only feel humble when looking at such wonders of the human craftsmanship. It is only natural that I try to spread the word about this treasure. 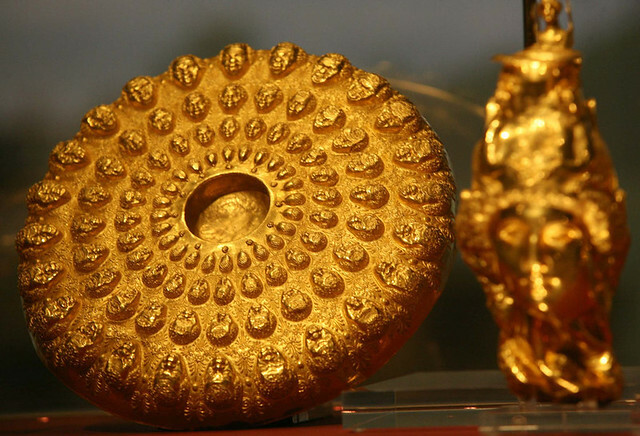 You can read more about each piece of the set online – there are many studies and detailed photographs which can help you understand and enjoy the Panagyurishte treasure. 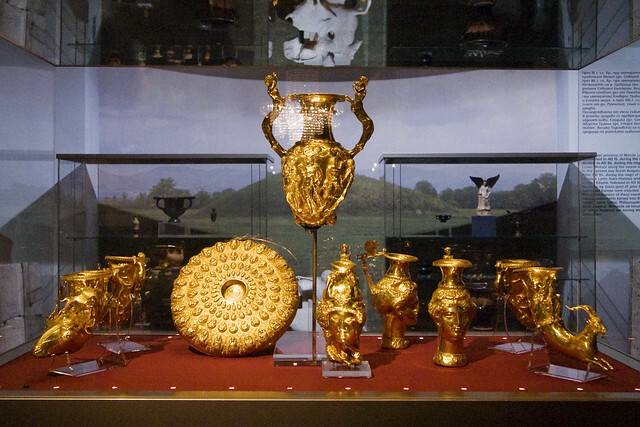 For me it is also important to show the intricate details embodied on the phiale, the amphora and the rhytons. 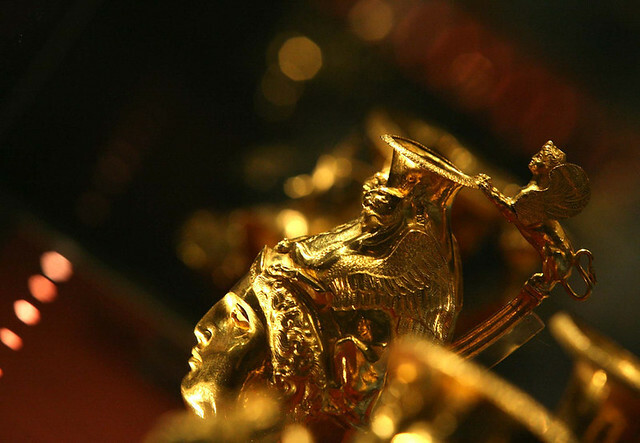 Each piece has its own story and shows us a unique part of the Greek and Thracian mythology. 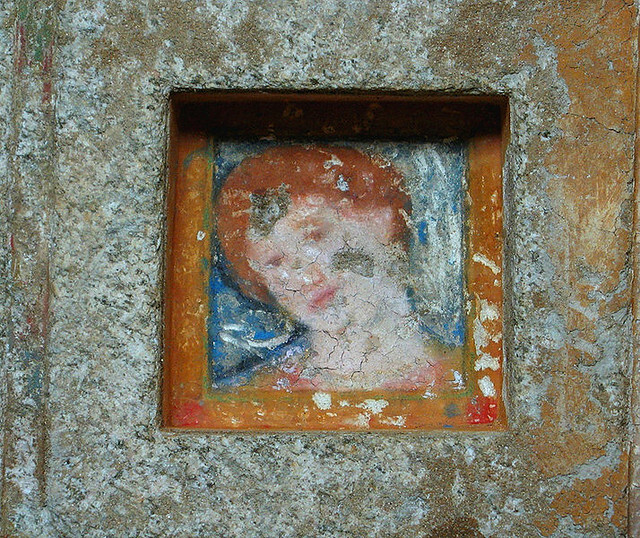 In our daily life we don’t have much time to contemplate on topics such as life, death, eternity and how a person can live in time and history through his or her works of art. 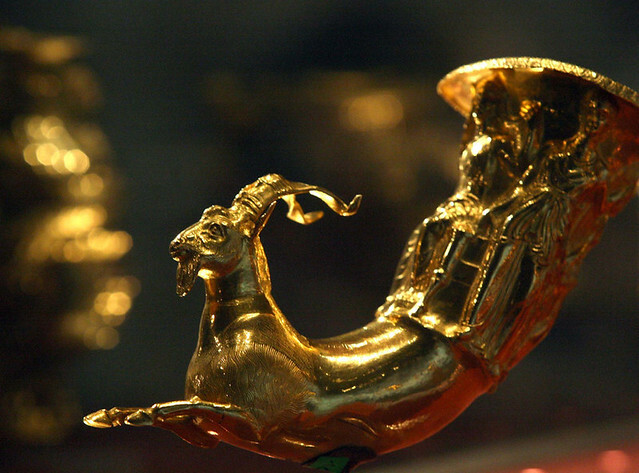 This treasure is a beautiful and very symbolic example which shows us how our work and imagination can surpass our lifespan and beam our skill and creativity in eternity.